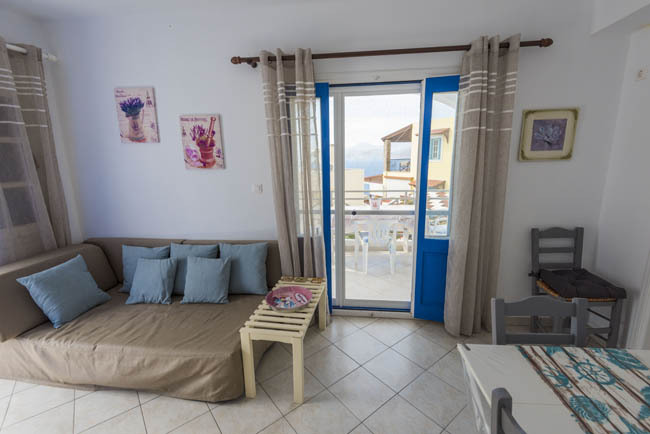 We offer a variety of Studios all with beautiful sea and mountain views and private veranda/terrace areas to suit everybody. 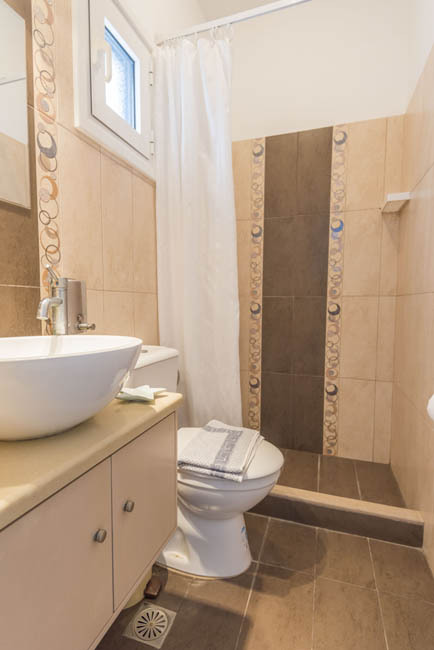 We hope that you find something that interests you. 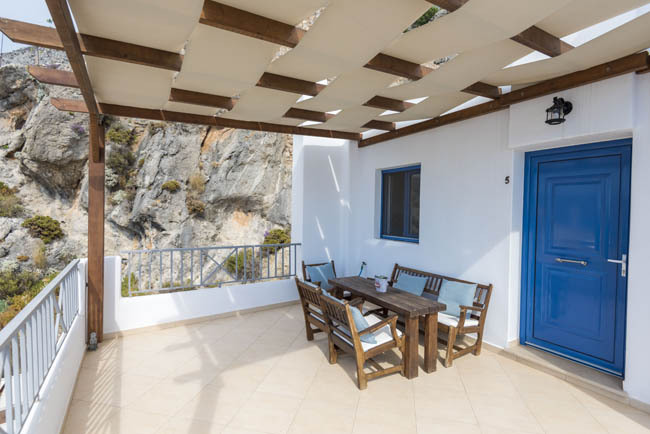 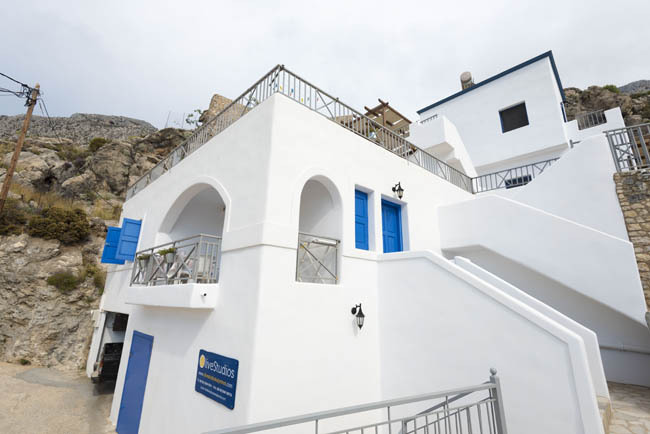 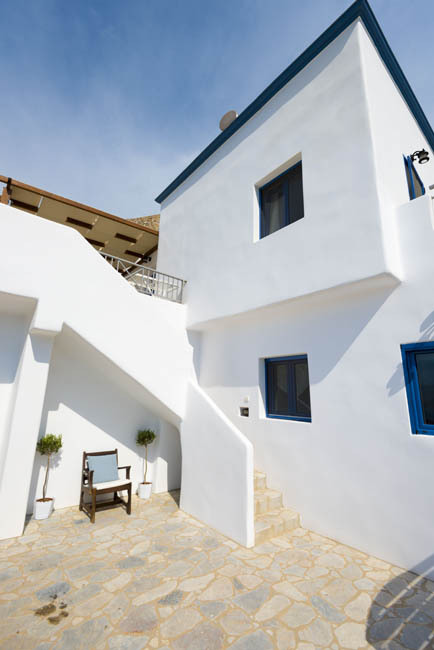 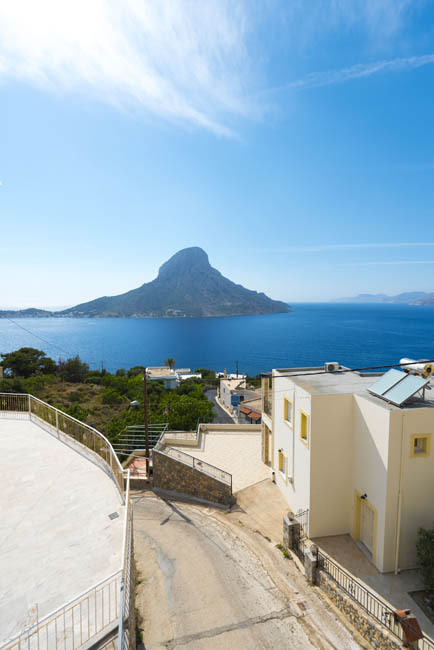 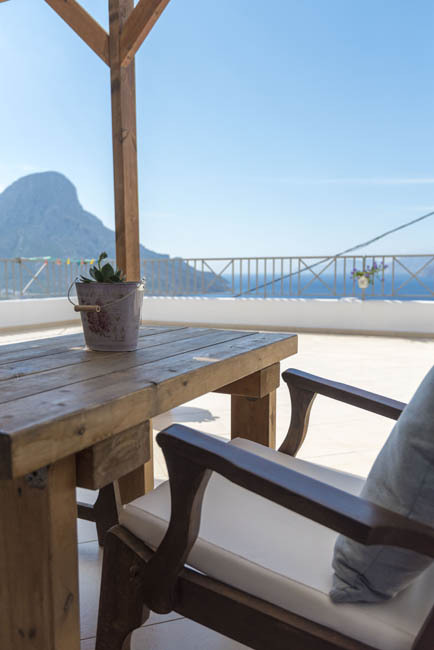 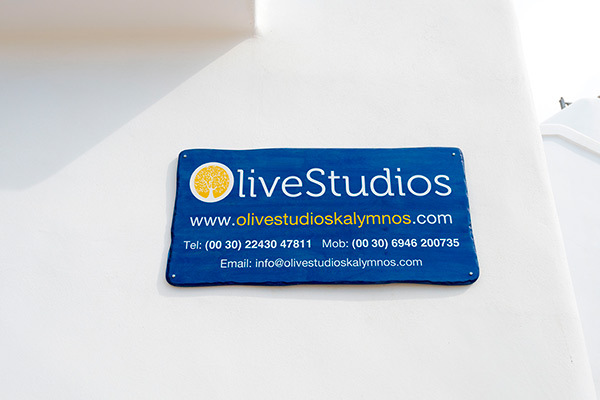 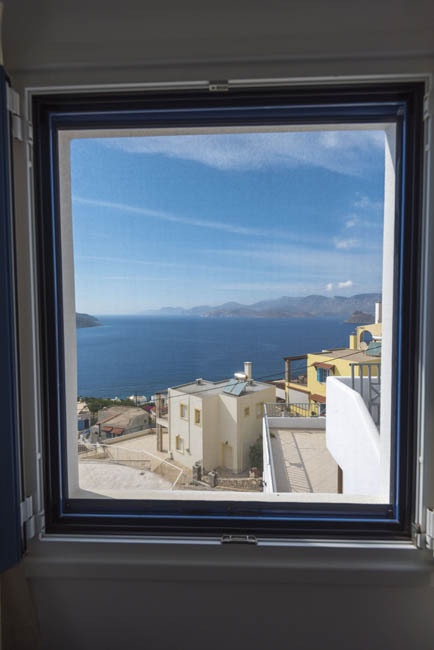 Olive Studios has Single, Double and Triple Studios all of these studios have sea views of the island of Telendos opposite and surrounding Islands, these studios have a kitchen/dining area a bathroom and a separate bedroom area with air conditioning and free WiFi access. 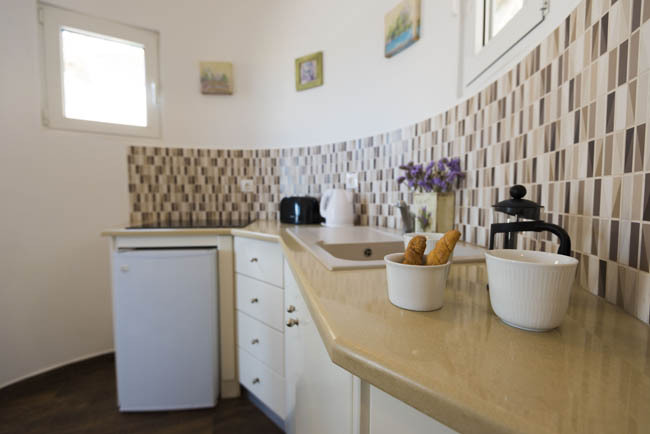 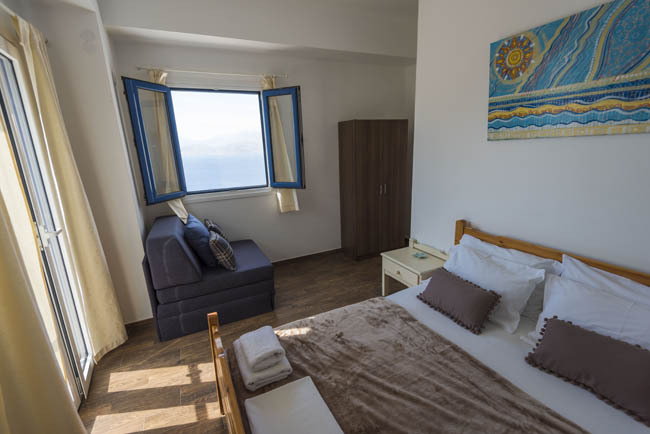 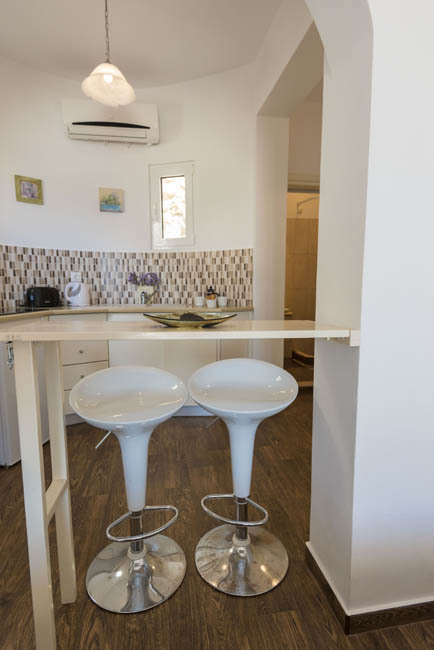 We also have large spacious apartments for families or a group of friends, these studios have beautiful sea and mountain views with private terrace and veranda areas. 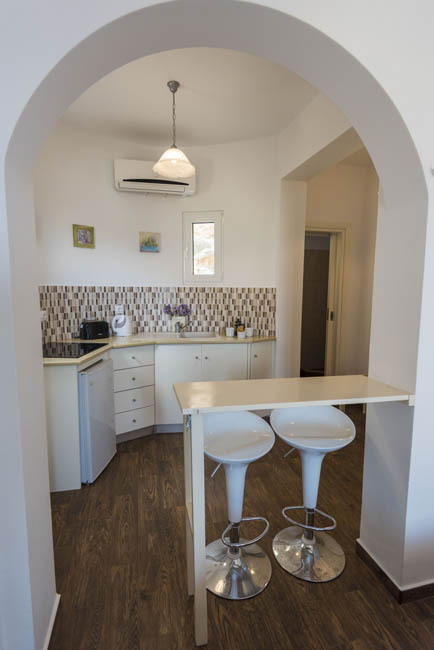 They have two separate bedrooms, a bathroom and a kitchen/dining area with free WiFi and air conditioning with cold and hot settings. 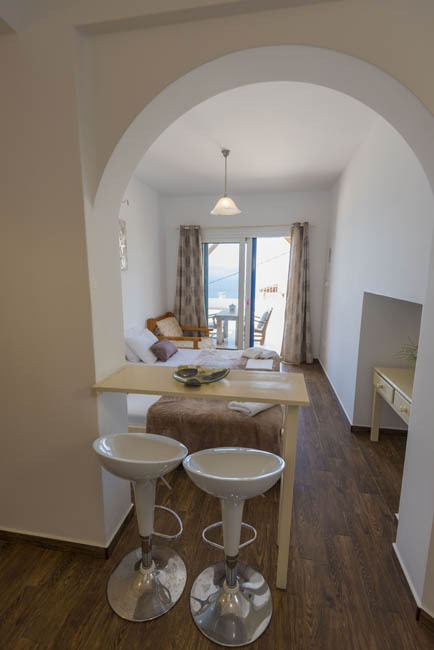 All of the studios are cleaned on a regular basis and we provide all linen, towels, hair dryer, toilet paper, washing up liquid and hand soap.